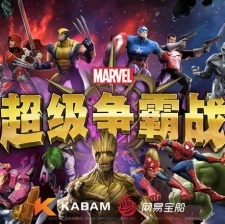 Canadian-based developer Kabam has partnered with NetEase to bring Marvel Contest of Champions to Android devices in China. The mobile game features numerous heroes and villains from the Marvel universe squaring off against one another such as the Avengers, Guardians of the Galaxy, X-Men and more. Since launching in 2014, the title has won several awards including the 2018 Google Android Excellence award. Residents of China can pre-register for the game before its official launch in May 2019. Kabam CEO Tim Fields added: "Publishing Marvel Contest of Champions in China through NetEase is a natural fit for Kabam. We want players around the world to be able to enjoy our games together. It’s been a busy few months for Kabam, with the company recently acquiring Dungeon Stars developer Riposte Games.